She is a storyteller in herself – the orange-hued queen who narrates a saga of ancient wazirs, long-lost nawabs, and one exotic spice – our very own aromatic saffron. Can you guess where we are going with this? Well, this emblem of tropical deliciousness grows abundantly at the foothills of the Girnar mountains in Gujarat. Surely you must have guessed by now! Yes, it is none other than the delightful Gir kesar mango! Did you know that this exclusive variety of mangoes have been granted the coveted Geographical Indication (GI) tag? Read this article to gain some extra insight into the same. As you peel these pulpy yields, you uncover a bit of history, a mouthful of flavors, and slices of unending taste. Want to know more? 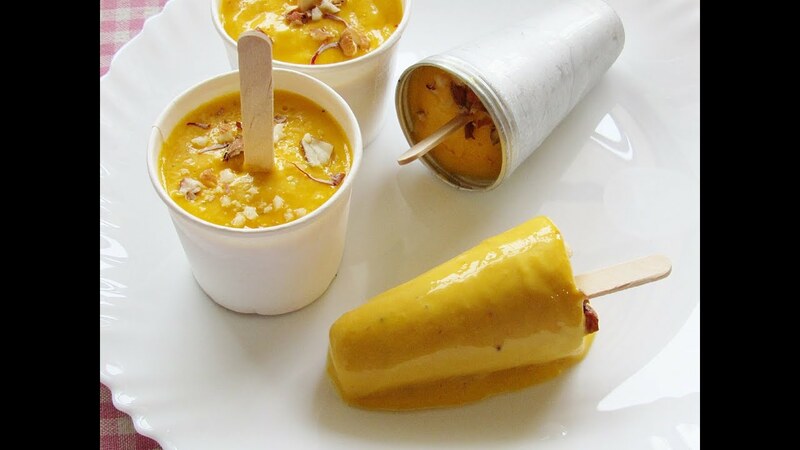 Go through our piece here to understand why kesar mango is so special. Today, in this blog we shall reveal some secrets – five of the most delicious, quick, and simple kesar mango recipes. Try them now and relish the magic of these wonder fruits in their different avatars. So here we go! Summer or winter, icecreams are always our favourite. However, with hints of some seasonal fruits such as mangoes, this delicious sweet dish is enriched with a richer taste and flavors. 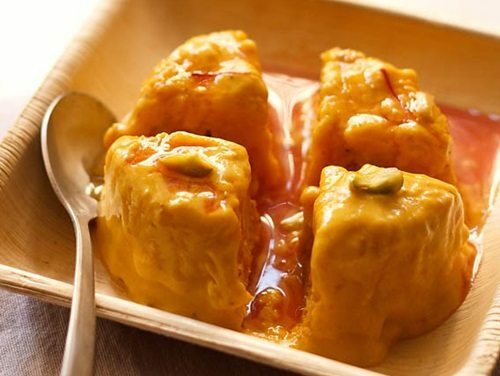 The wonderful dessert is prepared best with fresh mangoes; although you can also use frozen mango pulp for the same. If you want more interesting mango dessert recipes, read our blog. * We have used evaporated milk here since it has minimal water content. Hence your icecream will be thick and creamy. If you use regular milk, you shall end up with water crystals in your ice cream. 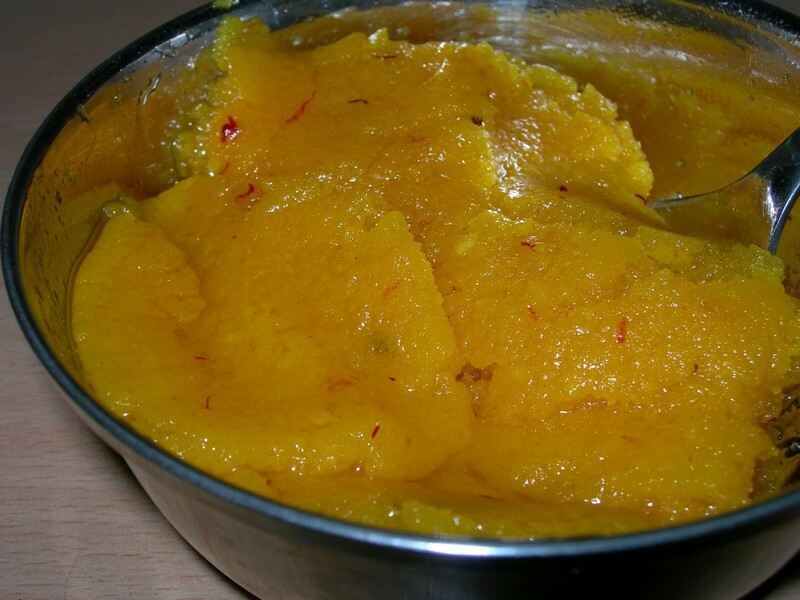 This is yet another mouth-watering Indian dessert recipe that uses fresh kesar mango pulp. Let us now detail another delish yet wholesome recipe of soft, fluffy eggless cakes – coupled with the aroma of juicy, pulpy mangoes. We shall use healthy whole wheat flour in this method that shall entice you with its nutty essence. This delightful mango drink is believed to have been named after Peshwa Bajirao’s wife – Mastani Bai. The rich, exotic dish is simple to make, yet tastes incredibly delicious with the flavors of aromatic, pulpy mangoes. You can also check out this video here for yet another famous summer drink – mango lassi. Your ideal companions in summer – kulfi – a frozen milk dessert can get a creative twist with the touch of delectable mangoey flavor. Read below for its simple and quick recipe. So, how did you like our recipes? We thought we should share these bookmarked creative tips to make your summer more fun and exciting. Do you know about some other interesting ideas? If yes, do not forget to let us know!